Want to lose weight fast? You may want to check out The New You Plan. It's a British low-calorie diet and meal replacement system designed to help you lose weight quickly. New You is a diet program designed to help you lose weight fast. It is based on a very low-calorie diet (VLCD) system. Several such programs have been studied extensively in the medical literature since the 1970s. "Very low" means very low, indeed: the diet typically limits you to 600 calories per day. A normal diet for an adult woman provides 1,600 to 2,000 calories per day, though these numbers vary depending on your lifestyle. The New You is a total food replacement method (TFR), meaning you are supposed to eat only what you order from New You. The company makes sure you get an adequate amount of vitamins and minerals every day, divided across four meals. The offerings vary from shakes to soups, hot meals, and even snacks. A major objective of this low-carb diet is to induce a state of ketosis, which means your body burns fat for energy. All the ordering is done online in one-week, two-week, and month-long plans. You are free to mix and match your own meals. Membership in New You includes a large support community, private Facebook group, and easy access to coaches and other supports. The reviews have been overwhelmingly positive. At TrustPilot.com, 87 percent of customers rated the plan with five stars. Reviewers consistently gave the plan high marks for taste and variety. The plan's customer service received uniformly high praise, both in terms of speed of response, and in the quality of the encouragement and support. Most reviewers found the online ordering process to be effortless. When order problems did arise, the customer service team solved them quickly and efficiently. Some diet bloggers were given a one-week supply of meals free in exchange for an unbiased review. Fat Girl Slim (FGS) took the task seriously and wrote a detailed review worth reading. Overall she gave the plan high praise, though she admitted it was not easy to do. "[I]f you stick to the plan, you will get the desired outcome," FGS concludes. "Find foods that you enjoy on the plan, and it makes it easier to stick to, too." Another blogger, calling herself Not Such a Yummy Mummy, was similarly impressed. "I'm really thrilled! My trousers are now pretty loose on me & I think I'm about to go down a clothes size. About bloody time!!" Us Two Friends had high praise for the taste of the shakes. "Today's breakfast was Chocolate Mint Shake and if I'm honest it was sensational. Super minty and very thick." A blogger at Barktime.co.uk also loved the taste. "[A]s powdered foods from packets go, it was outstanding. It was easy to prepare and extremely tasty." A dieter at the dieting site rollercoaster.ie said that New You "is the only thing that works for me and I feel great on it. So win/win for me." The blogger ElliBearBabi noted the cost to be about £5.40 per day, or around $7, which she felt was reasonable for total meal replacement. Reviewer complaints were mostly isolated incidents of problems with orders or dissatisfaction with taste. For example, one reviewer at TrustPilot was less than pleased with breakfast: "Unfortunately the oatmeal was terrible. Horrible consistency which did not taste anything like oatmeal, looked more like wallpaper paste." You cannot please everybody all the time, and New You is no exception. Even their usually highly praised customer services occasionally slips. One reviewer said, "I've no doubt this diet will work but I am very unhappy with their customer care and attention to detail." The plan's website recommends the diet for people with body mass index (BMI) over 25. Technically speaking, BMIs in the 25-30 range are classified as overweight rather than obese. 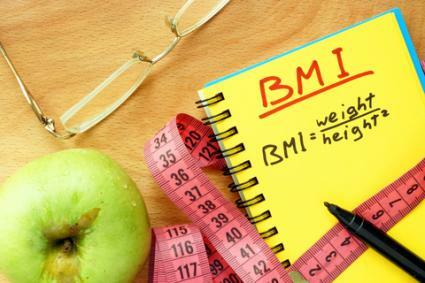 In the medical literature, very low calorie diets such as New You are best for obese people with BMIs >30. These diets are most effective for people who need to lose a large amount of weight fairly quickly. As with any plan, dieters with good willpower show better results. As many reviewers point out, if you cheat on New You, you may knock yourself out of ketosis, defeating the purpose of the diet. Is New You Hard to Do? It's very hard. Some reviewers admit to cheating, mostly due to a lack of willpower. Ketosis diets like New You are great for losing weight fast, but they do not leave dieters with enough energy for exercise. Dieters who try to exercise on New You are more likely to fail due to the severe calorie deficit. The willpower problem is helped substantially by the great support system New You puts in place. The plan claims hunger pangs tend to go away after three days, when ketosis kicks in. For most reviewers, however, ketosis does not begin until one week into the plan. The company strongly recommends New You customers seek medical advice before starting the program. This is because New You and other VLCDs induce a fair amount of stress on the body. You must be in good health before starting. It is even recommended that dieters check in with their doctors during the program. Many dieters may consider a doctor visit too much hassle and may decide to launch into the plan solo. This is not a good idea. How Fast Will You Lose Weight? New You is a fast weight-loss plan. The maximum course of VLCDs, such as New You, is 12 weeks. Most people lose weight during the first week on the plan. New You is not designed to be a long-term weight loss plan. They recommend taking a minimum of two weeks off every 90 days, presuming you can stay on the plan that long. New You offers "re-feeding" guidelines to help avoid rebound weight loss after coming off the plan. Will You Keep the Weight Off? Medical research suggests that VLCDs like New You will not result in long-term weight loss. That is not what New You is designed to do. New You is designed for people who need to lose a large amount of weight quickly prior to embarking on a sustained plan of diet and exercise. In practice, the reviewers use New You as an intermittent weight loss program, though it is not clear how they manage their weight when not on the plan. You would expect the website would feature their most impressive success stories. Indeed the ladies interviewed appear to have lost a ton of weight and kept it off, though it does not say how much, or what else they did to help stay fit. The New You Plan will work for you if you stick with it. The main reason it works as well as it does is that the meals taste great, and the support system helps keep dieters stick to the program. New You is best if you have a lot of weight to lose fast. It is most effective if you follow it up with a sustained diet plan that includes regular exercise. 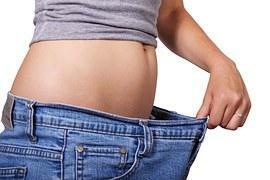 Dieters who are serious about losing weight should see a physician before embarking on any major diet plan.